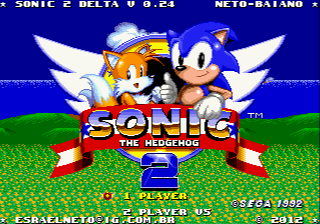 Sonic 2 Delta is one of those rare hacks that is actually better than the original game. The original zones, with a few exceptions, are untouched; this hack restores zones that were cut during development. In addition to restoring cut zones, the hack adds a few new features: The ring counter now shows how many rings remain in a zone, the level select menu has been updated to allow access to the new zones, some Sonic 3 graphics have been ported, and even Knuckles has been ported from Sonic & Knuckles! This is one of those hacks that simply must be played, its only flaws are the somewhat amateur-feeling level designs for the new zones and the fact it does not work on the real Genesis hardware. The latest version is based off the revision 02 which was extracted from the Sonic Compilation for Sega Genesis. The ROM is called Sonic the Hedgehog 2 (W) (REVSC02). The ROM should be in BIN format. The patch is in xdelta format due to shifted data resulting in IPS patches containing original code. 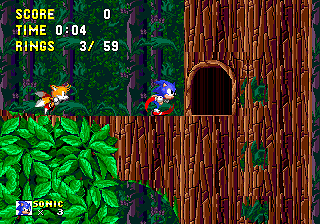 Green Hill Zone: Sonic the Hedgehog level. Emerald Hill Zone: Prototype layout elements and Coconut monkey enemies are replaced with the scrapped Snail enemies. Winter Hill Zone: Scrapped level. Wood Zone: The graphics are similar to what is seen in the Simon Wai prototype. Scrapped level. Dust Hill Zone: Graphics similar to those featured in the mockup screenshot that was featured in many magazines. Scrapped level. Chemical Plant Zone: Small minor alterations were made, such as the loops having slanted corners as seen in prototype media. Labyrinth Zone: Sonic the Hedgehog level. Neo Green Hill Zone: Prototype name, and music. 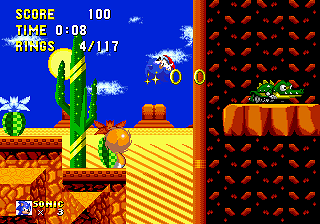 Star Light Zone: Sonic the Hedgehog level. Casino Night Zone: Redesigned to look like the prototype level which had lots of pink. 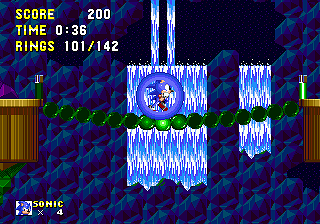 Marble Zone: Sonic the Hedgehog level. Spring Yard Zone: Sonic the Hedgehog level. Oil Ocean Zone: Redesigned to look like the prototype. Features ride-able balls which were found in the betas. Genocide City Zone: Scrapped level. Scrap Brain Sonic the Hedgehog level. Final Zone: Sonic the Hedgehog level. Death Egg Zone: Three rings added to the beginning of the level. Objects now uses Sonic 3/K Style Status Table ($4A size). Level layouts uses Y indexed like Sonic 3/K. (Some improvements on tiles loading). Level Select Menu now Has separated pages for Sonic 1 and Sonic 2 Levels. 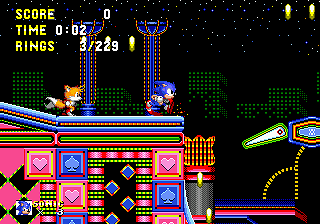 Fixed some bugs from previous version, like rotating pallete for Sonic in Sonic 1 Special Stage. All objects was manually edited to new SST. Improved some code (ex: Centisecond now uses a table, previous versions uses divs).